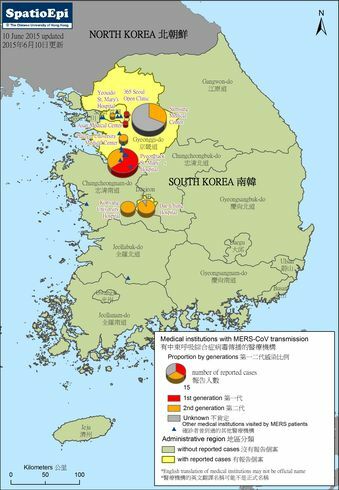 Since the report of first case of MERS-CoV infection in 2012, the newly discovered virus has continued to stay on. In Saudi Arabia, new cases were reported every month. As of the end of February 2015, a total of 920 cases have been reported in the country. 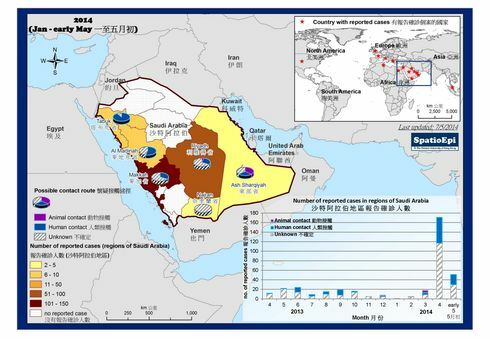 The map shows the distribution of human cases in Saudi Arabia, while the graph illustrates the temporal change of reported cases since the beginning of 2013. There was clearly a peak in April and May 2014, during which a majority of known cases were found to be associated with human to human contacts. In the month of February in 2015, an upsurge was again noted. The human contact cases (light green bar in the chart) included also health care workers who got infected because of failure of infection control practice. Others could be traced back to exposure to animals (dark green bar). With improved diagnosis and surveillance, more cases have become characterized. 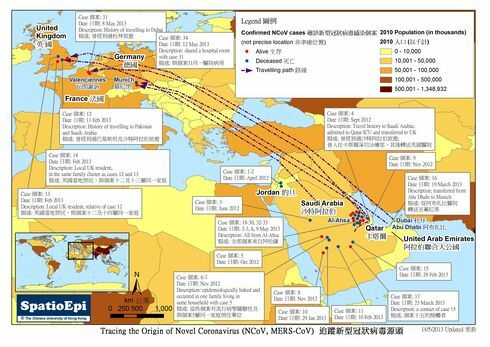 The seasonal occurrence of MERS-CoV infections coincides with the timing of weaning of young camels, the host of the virus. 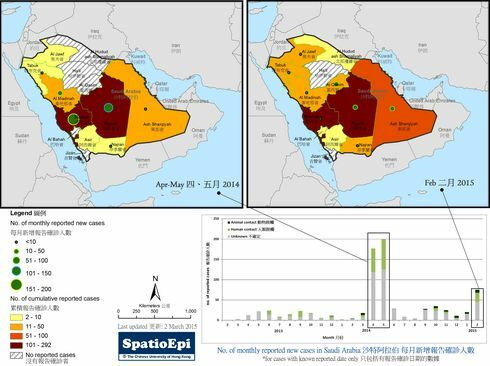 It is therefore a concern that the new seasonal outbreak may continue to affect Middle Eastern countries in the ensuring months (March to May). 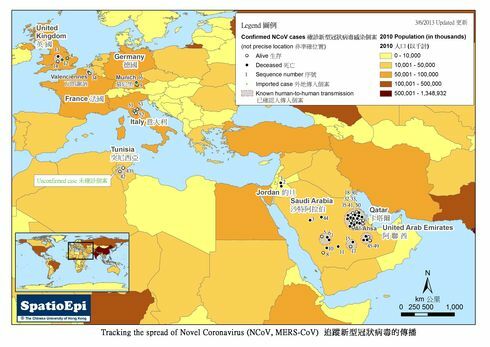 World Health Organization has advised on enhancing surveillance and attention to infection control measure to prevent MERS-Co-V infection outbreak in healthcare settings. The global total of laboratory confirmed human cases has exceeded 1000. 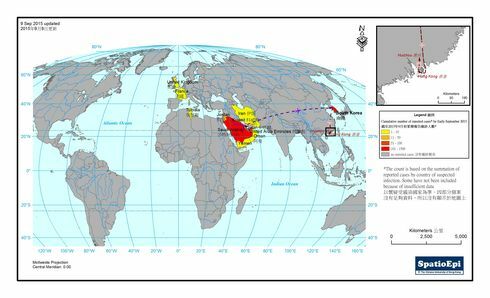 Data for the map were extracted from WHO and Ministry of Health, Kingdom of Saudi Arabia.